Be the envy of all your neighbours with the ultimate indulgence in luxury. Home Control and Audio (HCA) are award winning designers and installers of dedicated Home Theatres and technology entertainment solutions that fit seamlessly into your home. There is nothing quite like a dedicated room for pure home theatre enjoyment. A well-designed system can out perform most commercial cinemas in terms of picture quality, sound quality and sheer comfort. 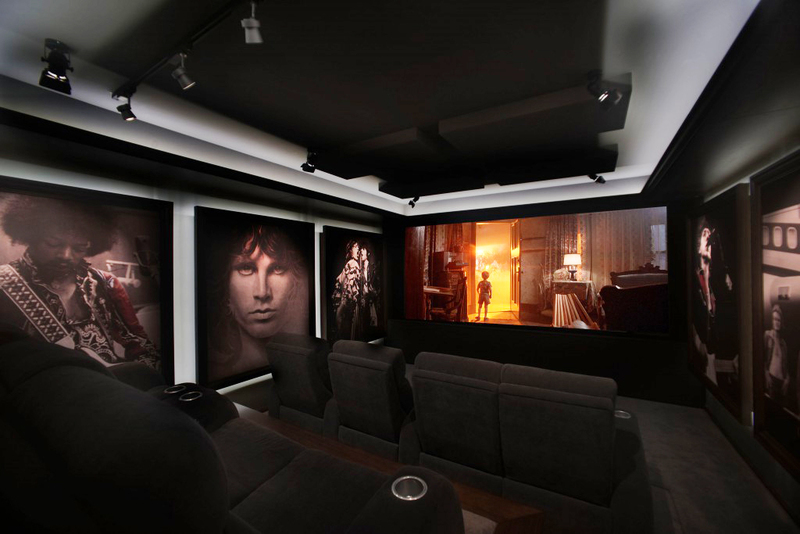 HCA can create a dedicated home theatre room designed and technicians are accredited with THX certification. Incorporating lighting control, room acoustics, sound proofing, seating, and room theming as well as providing the best in speakers, electronics, flat panels, screens and projectors. Your home theatre can be controlled by the touch of a button. Simply pressing the ‘Movie’ button will reveal the screen as the lights dim and the sound comes up. It’s real cinema, but with all the comforts of home. Looking for the complete cinematic experience for your home? You’ve come to the right place.